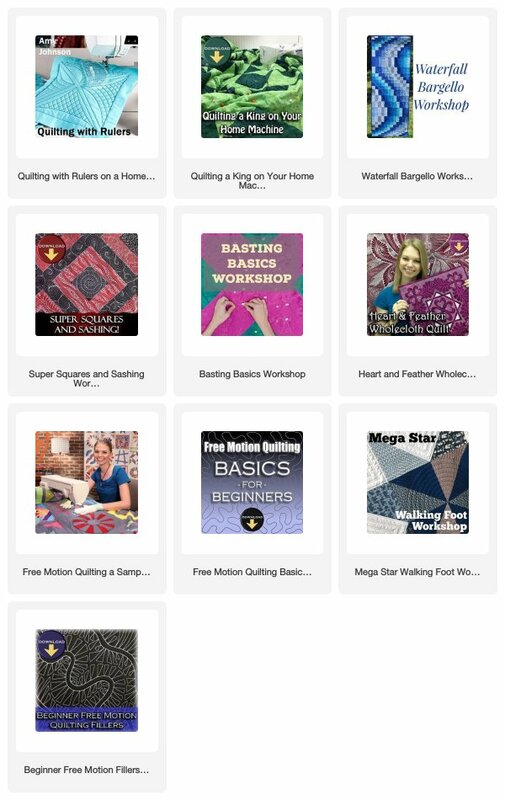 Yes, there are even more designs from the Free Motion Quilting Project! This was a challenge I began in 2009, and I'm still sharing new quilting tutorials each week. Below you will find links to designs 201 - 300. Simply click on the image or name to pop to the blog and learn how to quilt that design. Please help support this growing gallery of beautiful, creative designs! Quilting a King on Your Home Machine is a workshop I taught that will prove you don't need a huge quilting machine to quilt a big quilt. You can quilt any sized quilt you like on the machine you own right now. Join me for this online quilting class and I'll show you how! Click Here to learn more about quilting a king.